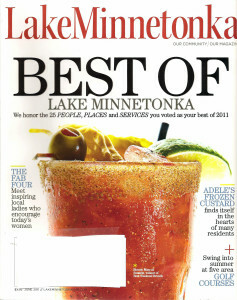 Recently, the WSO had a wonderful article in Lake Minnetonka Magazine – click here to read it. In this age of competing global media, Wayzata, a small suburb just 13 miles west of downtown Minneapolis, Minnesota, has a head start. Although the population is small, along with neighboring communities, the residents are avid arts contributors. Local artisans are featured in shops, art shows and throughout the community. In addition, the Wayzata Community Church hosts an impressive list of local arts organizations each month in its concert series. One of these organizations is the Wayzata Symphony Orchestra, who boasts four annual concerts that promise to delight concertgoers of all ages. The WSO is proud to be a part of this arts-rich community. The orchestra wants to not only be part of the community, but wants to contribute to the community. In addition to presenting performances throughout the concert season at the Wayzata Community Church, orchestra members participate in the annual James J. Hill Days, and are members of the Wayzata Chamber of Commerce. 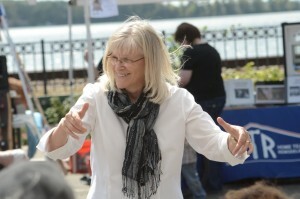 In Wayzata, the idea of enriching the community through arts activities is fully appreciated and understood. We welcome you to broaden your artistic horizons and listen to the Wayzata Symphony Orchestra – where the concerts are free, parking is ample, you’ll find great treats while you visit with the musicians after the concert. We guarantee you will enjoy an inspiring afternoon of music!